Are You In A Car Club Based In Long Island? If you’re in a Long Island based car club (or from Queens & Brooklyn) you should get to know the Long Island Car Club Council. The LICCC was formed around 1990. It was formed initially for the purpose of avoiding conflicts of car club sponsored shows on the same dates in the same area. 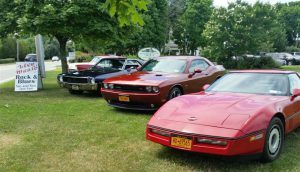 As the hobby has grown on Long Island, the Council has also created the opportunity for the 60 plus car clubs to support each other’s events and even collaborate on combined events.